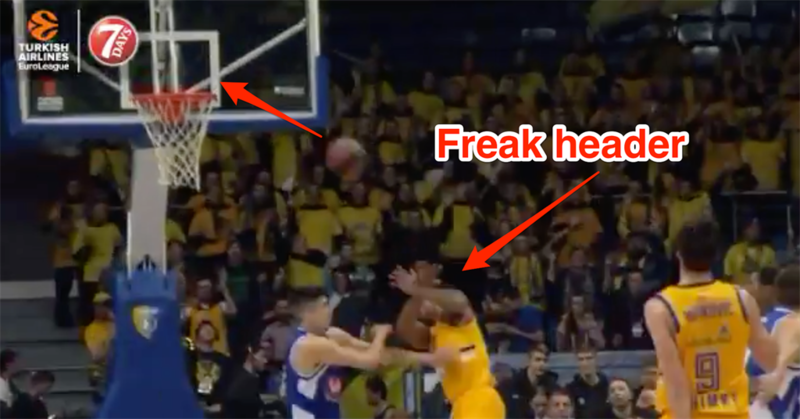 Jordan Mickey may have sunk the weirdest basket of the year when he accidentally scored a freak header this week for Russian team BC Khimki in the EuroLeague. In the second quarter, Serbian point guard Stefan Markovic fired the ball to Mickey, who was inside the arc but unprepared for the pace of the pass at the time. The ball bounced of his head and ended up kissing the rim and dropping through the net to extend the Russian team’s lead over its Montenegro opponent Buducnost Podgorica to 36-24. Mickey, a 24-year-old power forward from Texas, signed a one-year deal with the Russian team earlier in the year, after stints at the Boston Celtics and Miami Heat in the NBA.